When I wrote 365 Ways to Live Cheap in 2007, a person could easily find a bank CD that offered a 6% return. All you had to do was lock up your money at the bank for a year or so and they’d give you back six cents on every dollar. That’s a pretty good deal. In fact, if it were available today, I would have a lot of my money in such CDs. Unfortunately, since 2007, rates on CDs and savings accounts have dropped through the floor. Today, you’re hard-pressed to find a CD that will return 2%, let alone 6%. Still, the value of a CD isn’t why I put this advice in the book to begin with. The point of this entry is something else entirely. We all have windfalls. A relative suddenly dies and leaves us some money. We win a big drawing or contest. We have an opportunity for some side work that puts some one-time cash in our pocket. When we have a windfall, there’s a temptation to splurge. A big temptation. The last time I had a nice unexpected windfall, I was really tempted to go buy several smaller items that I had wanted for a while but hadn’t bought because, honestly, I didn’t really need them. I had my eye on a new board game, a pair of shoes, and a couple items for our kitchen. Willpower kept me from doing it. I put the money in our checking account quietly and went on with life. However, I know that I wouldn’t have had that kind of willpower a few years ago. I I would have had have those new items in our house faster than you can blink. That’s the reason I suggested putting the money in a CD. 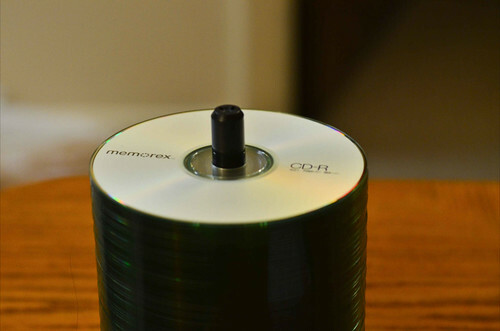 If you put money in a CD, it’s essentially locked away for a while. You can’t withdraw it without losing some of that money. This provides you a period of “cooldown” where you can think rationally about what to do with the money instead of making a spur-of-the-moment (and likely poor) decision about how to use the money. A CD, in other words, is something of a lockbox that, at the time of the writing of the book, paid a pretty good interest rate. Now that CDs aren’t paying as good of an interest rate, is the advice still valid? I think it is, but it’s not as strong as it once was. A CD will still pay you a better return than a savings account. It will still keep your money locked away until you’re ready to make the right decision with it. It’s also convenient, because you can handle all of this at the bank you already do business with. If you’re really worried about return on the money, there are other investment options, of course. You could open a brokerage account and put it into stocks, for example. However, stocks have risk (meaning you might lose money), you have another entity to do business with, and they’re still liquid (meaning you can essentially pull out the money without penalty whenever you want). If you’re still struggling with willpower when you find yourself with a windfall, a CD is still a pretty good place to put it.